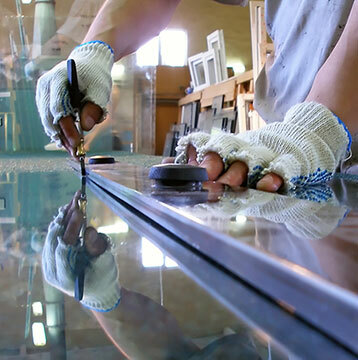 At Bradney Glass, we can expertly cut glass to size to suit any and all of your needs. Either call us or email us with a size and type and we’ll cut your glass – it’s easy as that! You can either pick up from our warehouse or we can deliver to your residential, commercial or industrial premises for a nominal fee. If you need cut glass, Hornsby,Castle Hill and Cheltenham locals can take advantage of our speedy, efficient services! Ordinary glass can be cut in minutes. It comes in a range of thicknesses but isn’t what one would consider to be safety glass. Most Sydney windows are made of ordinary glass. They can be easily smashed and often the removal of shattered pieces can be a difficult hazard. Laminated safety glass is a slightly lengthier process – a more reinforced type of glass, it holds together when shattered by a PVC interlayer between the two panes of glass. This keeps the glass bonded, even when it’s broken. Having high strength and durability means a simple ball won’t break this type of window. When the impact is not enough to pierce the glass it produces a spider web cracking pattern. This is the glass normally used in certain sporting arenas and hospitals if there’s the possibility of human impact – laminated safety glass prevents shattering which makes it much safer around people. If you need laminated glass cut to size, Dural and surrounding Sydney locals can enjoy delivery straight to the doorstep! Toughened safety glass has increased strength through thermal treatment. This makes it a more time-consuming process to cut compared with regular and laminated glass. Treating the glass to make it tougher means it will break into much smaller chunks rather than jagged shards, which make injury much less likely. Since it’s so tough and durable, you’ll see toughened safety glass on many glass doors, pools and shop fronts. We don’t just do glass cut to size! 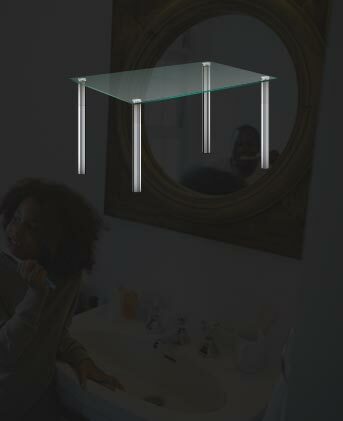 Hornsby locals can also enjoy our quality glass cutting on mirrors, which can be cut to the perfect size. Get great quality cut glass from Bradney Glass today! Call us today to discuss your requirements on 02 9875 1100.